King Edward’s School is through to the National Final of the Senior Team Maths Challenge after a winning performance in the regional stage of the competition. Over 1,000 teams take part in the national competition which test pupils’ mathematical knowledge through several rounds of mathematical problems and puzzles. In the West Midlands heat held at The Sixth Form College, Solihull on Wednesday, 19 November 2014, King Edward’s soared through to the National Final with a winning score of 161 out of 164. 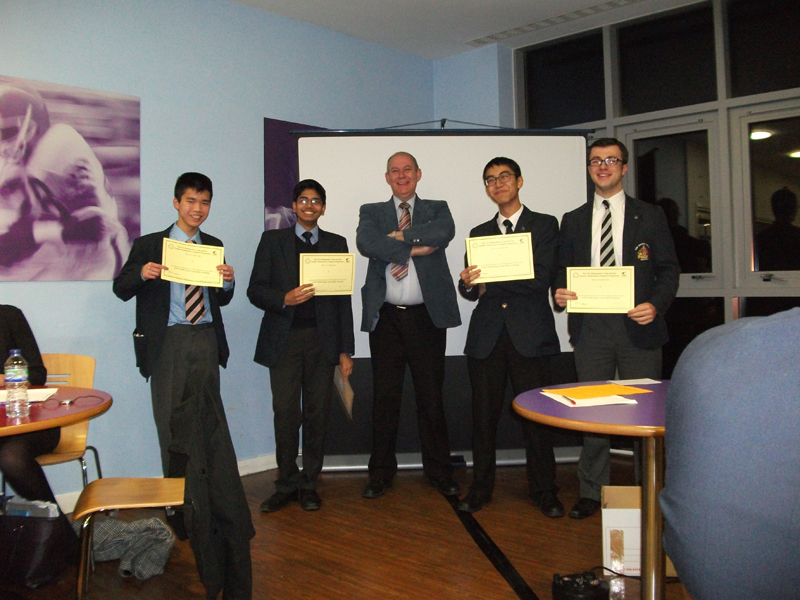 The winning team of Jeremy Ho and Vidy Reddy in Year 12 and Harrison Green (c) and Clement Chan in Year 13 will compete in the National Final at the Royal Horticultural Halls in February 2015.